ATOPOS cvc inaugurates, #TextMe project, a year of actions and events around the book and text in media arts. #TextMe was an original concept by Atopos artistic director Vassilis Zidianakis. In the context of UNESCO’s ‘Athens 2018, World Book Capital’, ATOPOS CVC invited artist Antigoni Tsagkaropoulou to design and implement an unusual library / visual exhibition, Fluffy Library. #TextMe_FluffyLibrary, curated by Vassilis Zidianakis will occupy the whole of the ATOPOS building, including the organization’s library of 2,500 books on art and visual culture. #TextMe FluffyLibrary by Antigoni Tsagkaropoulou. Photo by Panos Kokkinias. Via Atopos CVC. 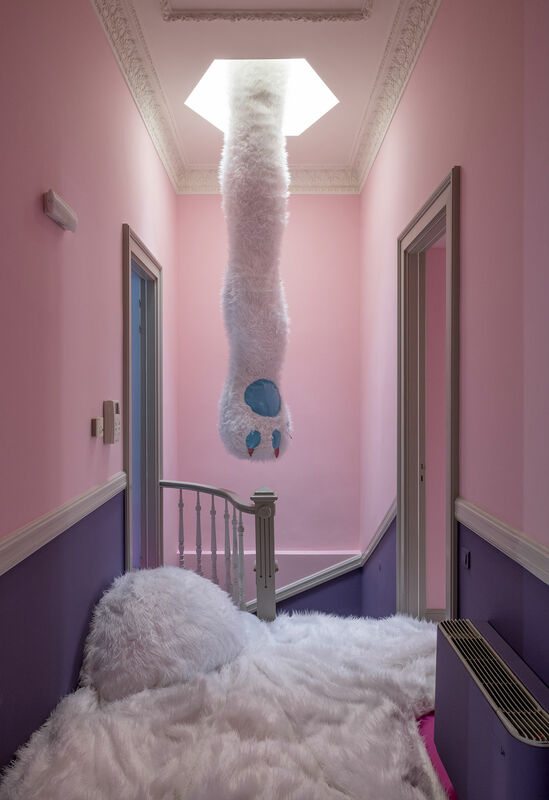 The project combines the logic of a large-scale installation with plush sculptures and furry costumes. 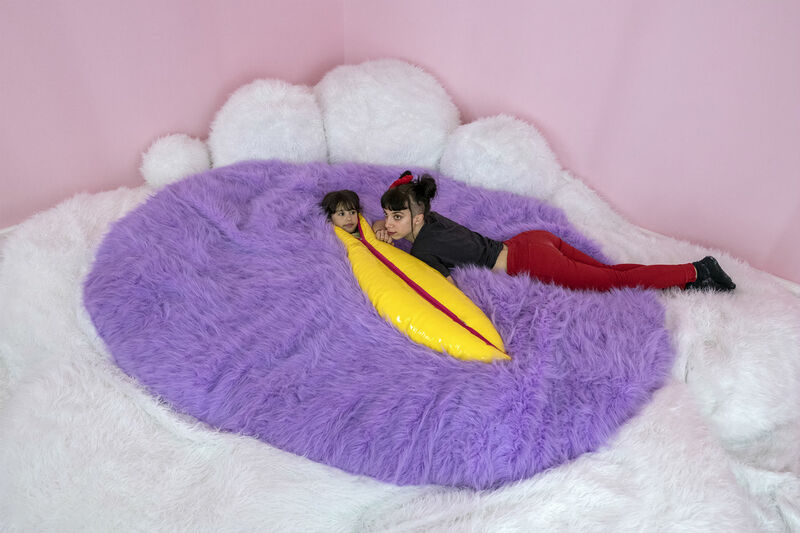 Fluffy Library is a cuddly environment that creates an original and otherworldly reading and playing area for both young and old. The project’s hybrid nature combines different functions: it creates a multi-sensorial visual experience, while it also prompts readership as it functions as an open library. The #TextMe_FluffyLibrary also operates as a workshop, producing an unconventional fairy tale. Under the guidance of Antigoni, a series of workshops will invite the public to build the story of ‘Fluffy’, the main character of the fairytale and installation. Alongside Fluffy, the visitor will have the opportunity to meet in the library a series of monstrous letters: A dragon princess (d is for dragon) a super heroine teddy-bear (T is for Teddy-Bear) a female ghost (G is for Ghost), a sweet little horse (H is for Horse), a tentacular witch (O is for Octopus) a masculine fairy (p is for pixie), a fat femme flamingo (F is for Flamingo), a hairy pink mermaid (M is for Mermaid) and many others will be constructed and will inhabit the library over the next months. Parallel to the Fluffy Library activities, will take place the academic programme #TextMe_Lab, curated by Fil Ieropoulos.